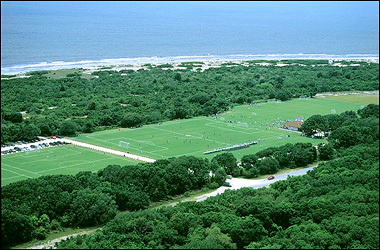 The 2018 SSA 3v3 Jekyll Challenge Driven by Yokohama will be played July 14th and 15th at the beautiful SSA Coastal complex on Jekyll Island. Don't miss a great weekend of sun, sand, and soccer! Youth teams 6U - 19U and Adult teams are invited! The tournament is a mainstay on the Challenge Sports GA 3 vs 3 tournament calendar and hosts teams of all levels of competitiveness. It is part of the SSA Classic series of tournaments that host over 1,000 teams each year. Teams are guaranteed a minimum of 4 games (weather permitting), over the course of the weekend. This tournament is a Qualifying event for the Challenge Sports 3v3 National Championship, at ESPN Wide World of Sports Complex, at Walt Disney World Resort. The top 4 teams in each division qualify. For more information, please click 'General Information' on the menu bar above. We look forward to hosting all teams this weekend! Please click 'Schedules' on the main menu bar to view the weekend's schedules. Please also be sure to read through the Check-In page so you know what documentation is needed to complete your team's check-in process.